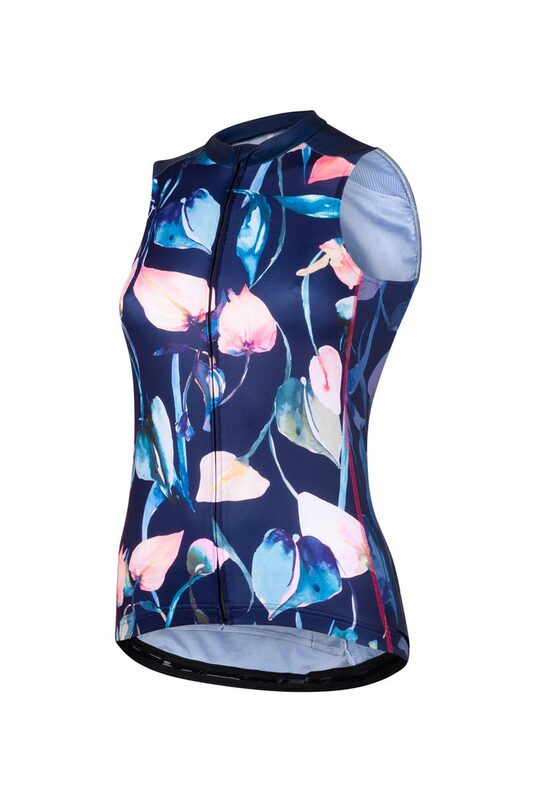 Blend in with the nature surrounding you with optimal freedom of movement in this cool cycling top. This is the perfect top for women who want to get on their bike in cool black with a feminine, natural print. 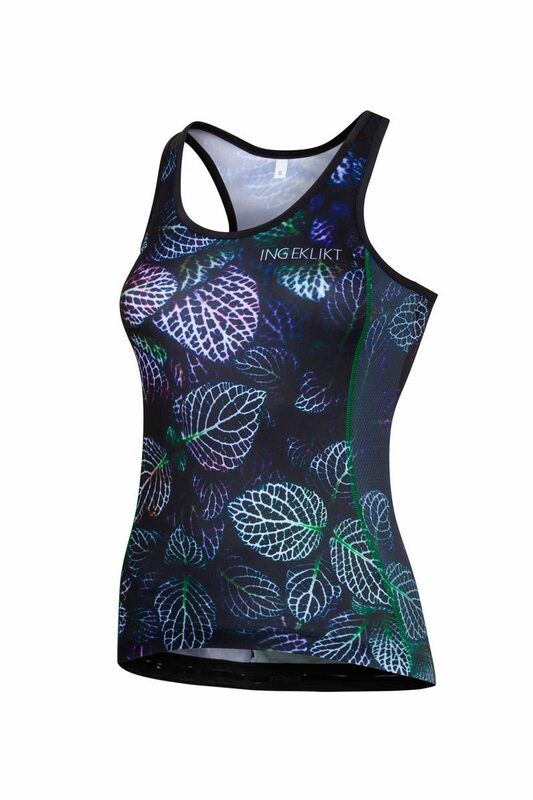 Featherlight, thin and breathing but still super functional: that is the Lush Leaves cycling top. the zippered pocket on the back may seem small, but based on our own experience we can assure you that it has sufficient storage space for your phone, keys, cash and energy bars. Do you prefer working out in a sleeveless top, or do you have an aversion against tan lines on your arms? 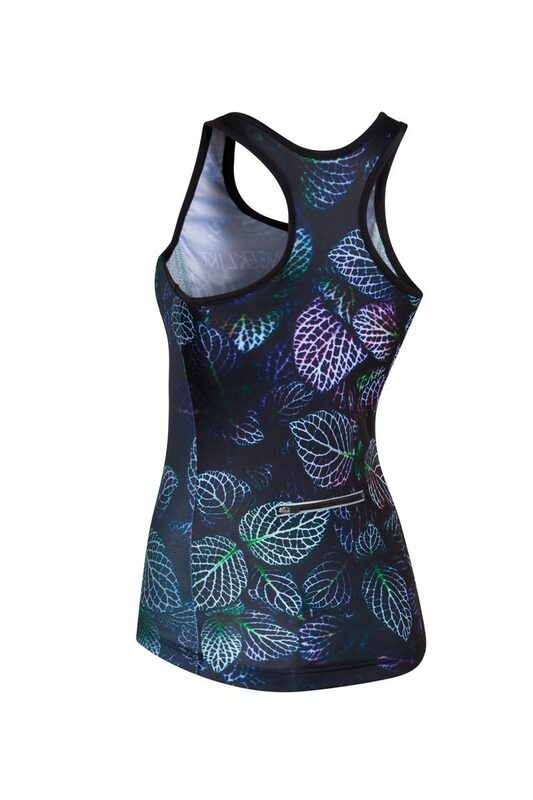 This black cycling top with a leaves print and dark green seams makes you blend in with the nature surrounding you. Combine it with our Little Black bibs (with zipper!) and prepare yourself for a ride through the forest! This sleeveless cycling top is standardly available in size S up to 3XL and on request in size XS and 4XL.